Curtains for your closet door? You better believe it. These flowing dividers between you and your stuff aren’t just for dorm rooms and starving artists’ lofts anymore. The availability of stylish, fashionable curtains has changed this previously necessary-evil practice into a legitimate design choice for a room. Maybe you, like those who have curtained before you, have a small space, and you don’t want to have the closet door coming out into the room. Fair enough. But, maybe you want to add a unique design element to the room for fun, or add some texture and warmth to the overall design. Or maybe you are just tired of all that tedious knob-turning. Whatever your reason, you’ll need to start with curtain tracks. Our popular, custom-cut 6100 Flexible Curtain Track is a great choice for this application. It can be used in a straight configuration, but can also be hand bent, without compromising strength, into curved or angled shapes. This allows you to hang your curtains directly up against the closet, or curve them out into the room for a more dramatic effect. This approach can also add whimsy to a child’s room, and, frankly, make it a lot easier to hide their overflowing closet junk. This track can be mounted directly onto the wall or ceiling. 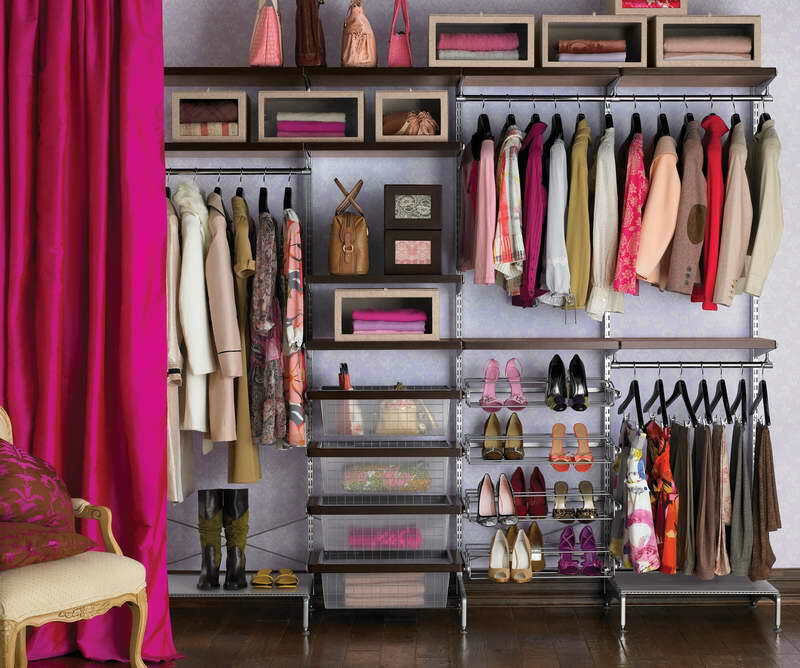 If you don’t have a closet – make one! Again, our flexible curtain track is an excellent choice for this since it can be mounted directly onto the ceiling in the shape you need. 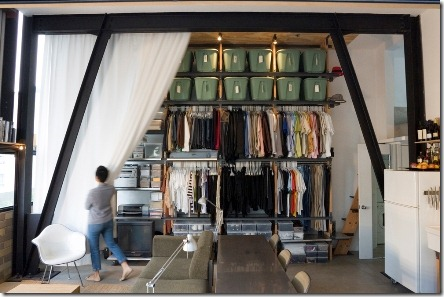 What about sectioning off a whole area of the room for storage? This is a quick, easy way to have a clean, simple living space while still keeping your necessities close at hand. Any of our ceiling curtain tracks will work for this application, and they can either be screwed directly into the ceiling through mounting holes, or attached to the ceiling with ceiling mount hardware such as clips, clamps, brackets, or retainers. Some ceiling mount drapery hardware can even be recessed into the ceiling for an even cleaner look. Questions? Need help ordering the correct items for your project? Contact us! We are happy to help.